I am the kind of person who cannot stay at home one single day, all day. Boredom kills me by the end of the day. Luckily I have a job that keeps me occupied on weekdays. And on weekends, I have to(HAVE TO) go out atleast once. Before I deviate from the topic of the post completely, I better begin telling you about it. 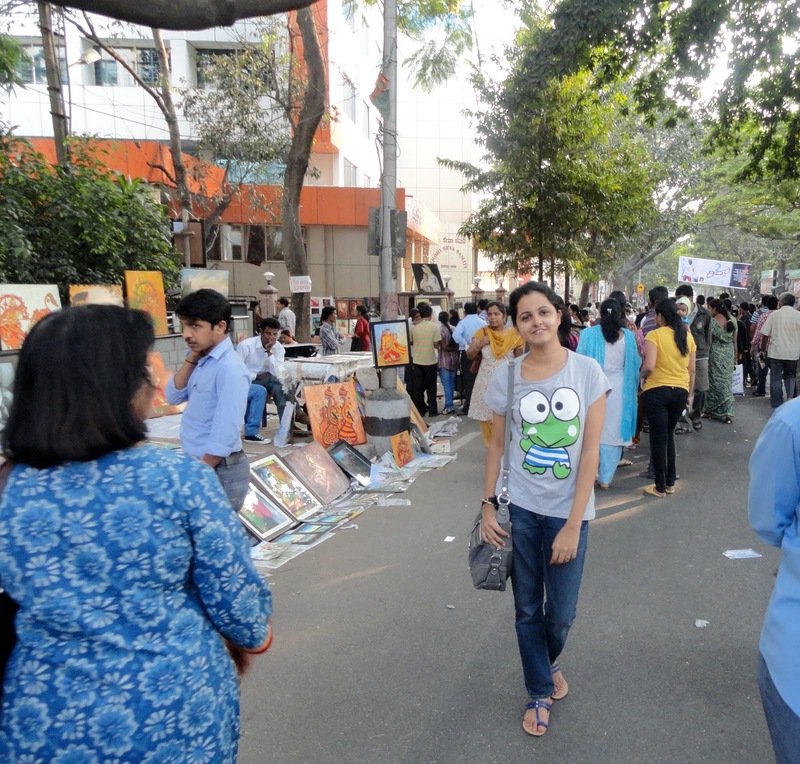 So it was in the newspaper that there is this art mela in Bangalore that happens near Chitrakala Parishad every year. 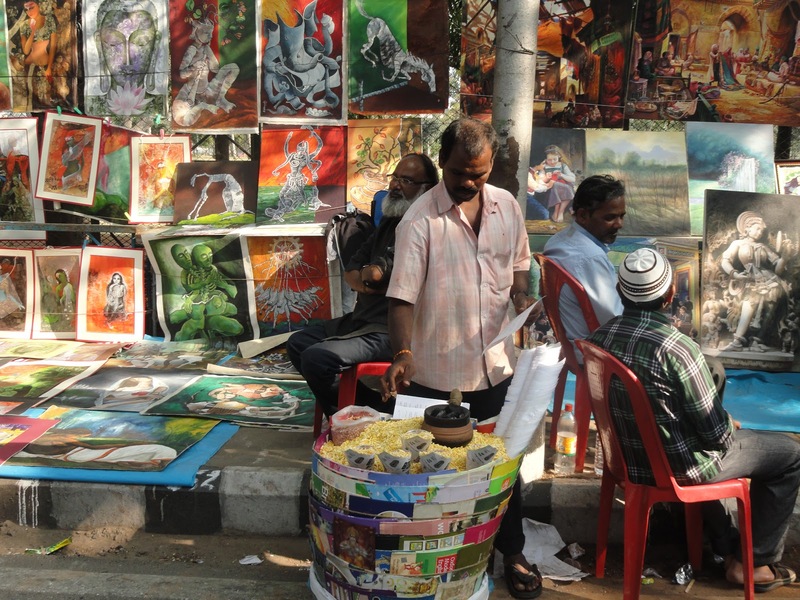 Its called ‘Chitra Santhe’ that literally translates to painting fair. So that was the best thing for me to do.. get ready and set out 🙂 I was all happy. I took my camera along too.. so you guys will get glimpses from the event. We hopped into a rickshaw and set off! As soon as I reached the street, the first thing I noticed was that, for once people all were obeying the rules. The whole road was blocked for traffic. It was a pedestrian street. I could hear the chittar-chattar of people discussing art, fresh-out-of-art-school students gathered and laughing aloud, some local artisans trying to sell their stuff, tea sellers making their way through the crowd, people from neighbouring towns gathered in the mela, artists making portraits of people, churmuri and tikki puri stalls and all that we Bangaloreans absolutely love! 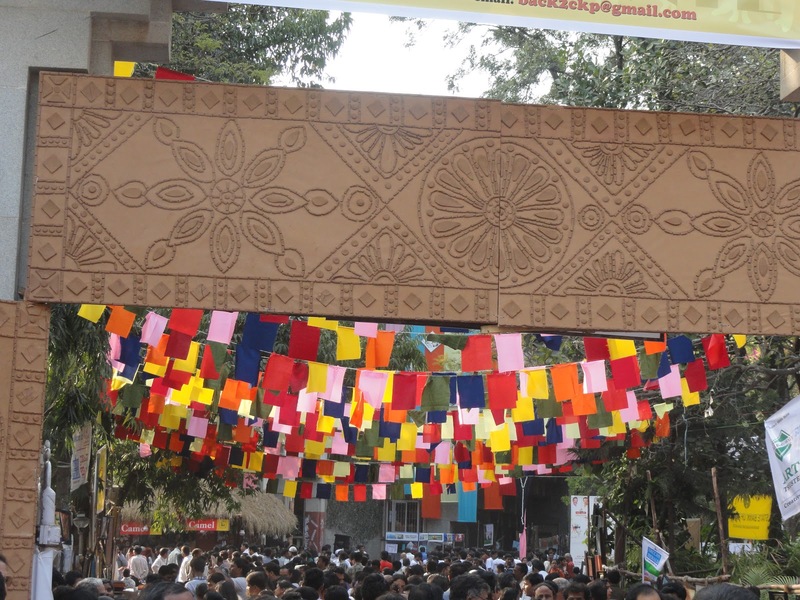 And how can I miss this… people clicking pictures of everything around. This is the latest craze and I wasn’t going to be left behind. 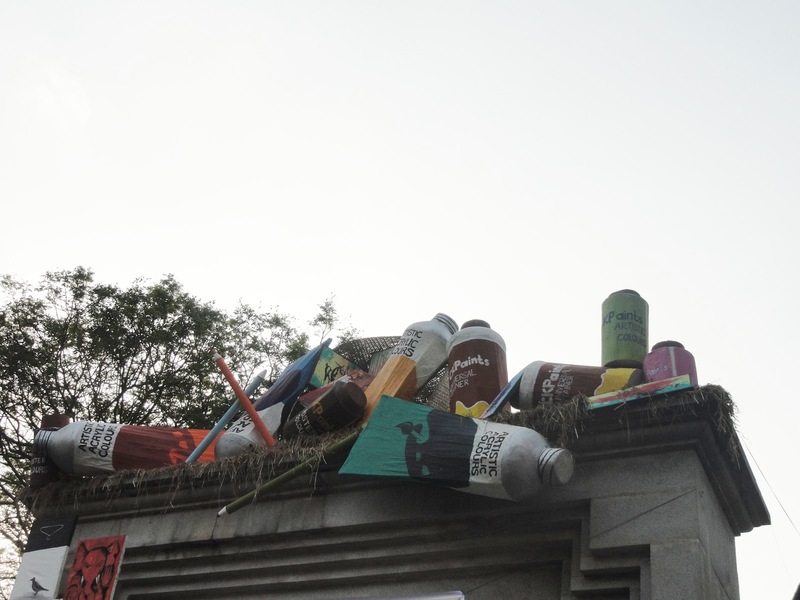 The whole long street pavements on either side was occupied inch-to-inch by artists selling their stuff and some people just exhibiting their art. And the audience was also chirpy. 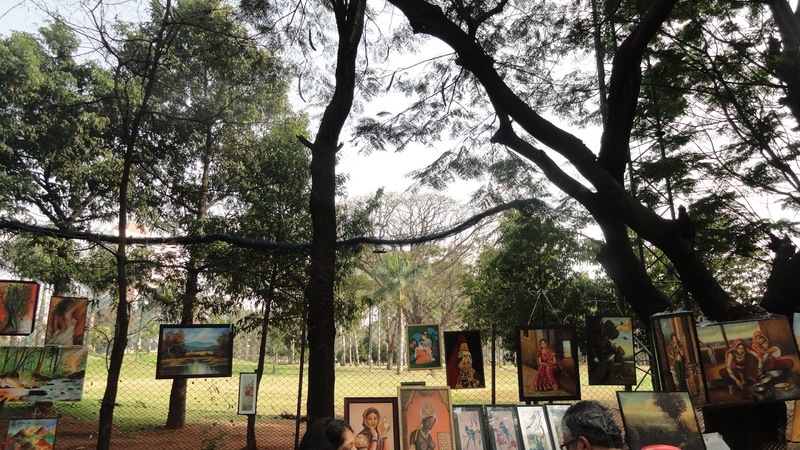 There was an interesting mix of people, some of them genuine art lovers looking for good stuff, some were there just to hang out, some of them were there to click photographs and also there were a good amount of foreigners trying to find the real India in the art. I noticed how one foreigner picked up a painting of a single red chilly and one of a village boy in a turban. The art itself was splendid to say the least! 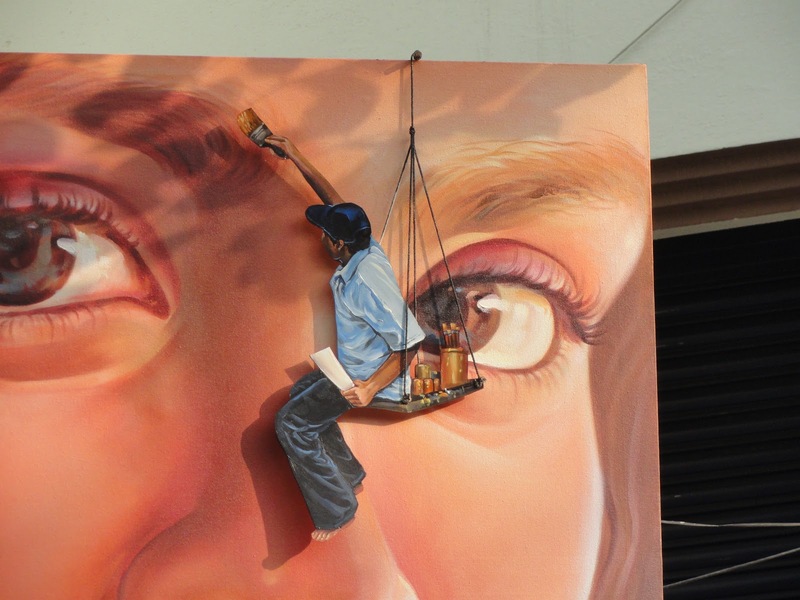 I admire these people a lot.. who are so creative.. I really do. I wish I was one of them! 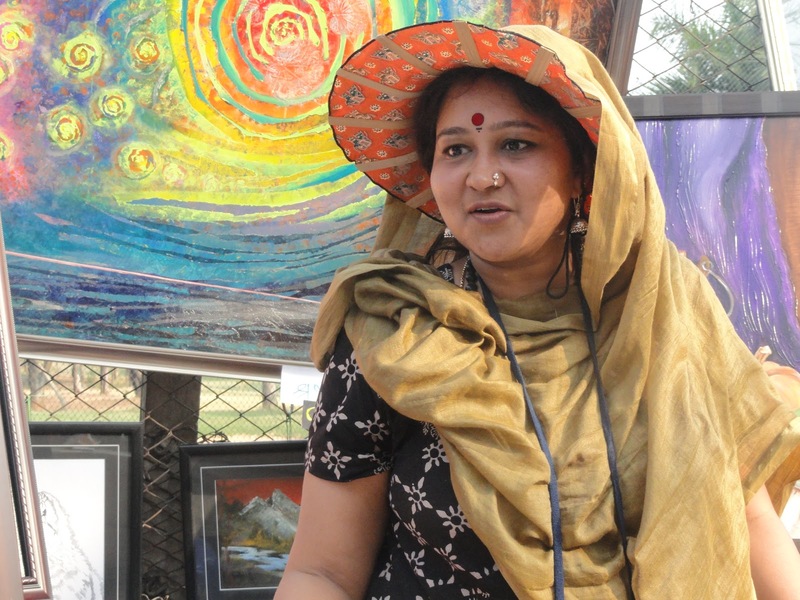 There were the good old black and white sketches, some etched paintings on canvas, some simple ones on cardboard paper, some modern art(which I still havn’t learnt to admire as much as the others), glass paintings, colourful vases, some tribal art, miniature paintings and portraits. All of them however simple or however complex, were each really really beautiful. Unfortunately I could not buy anything. But I wasn’t going to come back empty handed. So what did I buy?? and had ice cream, nippat masala and some tea. What about you guys? How is the artist in you doing? Or have you admired some art lately? Thank you Tanvi and Jyoti… I have only recently taken to blogging with some inspiration from guys like you.. Nice to meet you guys too 🙂 have a thrilling day!